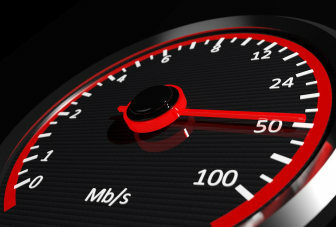 When it comes to average connection speeds, India has again featured last among all the Asia Pacific countries in the latest report from Akamai technologies. 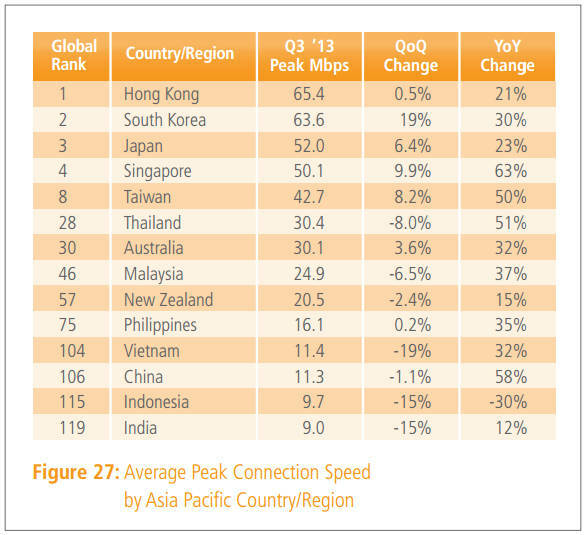 According to the Q3 2013 report from Akamai, India featured lowest in 'average internet speed' among all the countries in Asia Pacific region. The average internet speed in India was reported to be only 1.4 Mbps, which is even less than half of global average internet speed. A 29% increase was seen over the year in global Internet speed, which accounted to 3.6 Mbps in Q3 of last year. Despite such slow speed, there is an increase in average Internet speed in India. It was reported to have a rise of 11% in internet speed per quarter last year. Last year, Akamai had reported an increase of more than 20% in the first quarter and expected India to rise from 1.3 Mbps to 1.8 Mbps speed. India stood at 114th place in Q1 of 2013 and dropped to 123rd place in the third quarter. Both times, India came in last place among Asia Pacific countries that also featured South Korea, which has the fastest average Internet speed in the world at 22.1 Mbps. Hong Kong was reported to have the fastest average peak connection speed on 65.4 Mbps. 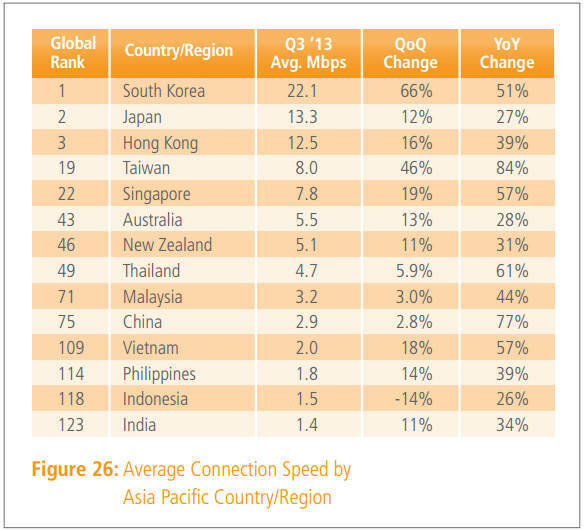 Even in this category, India came last with only 9.0 Mbps speed among the Asia Pacific countries. Recently, India was reported to be working with Israel on 5G technology which showed that India was looking forward to developing its Internet. Last year, Akamai had reported that India will likely see an increase of almost 50% to 1.8 Mbps in the next 12 months because of investments in high-speed optical fibre network. India even features behind Nepal, which has an average internet speed of 3.6 Mbps.